Ninety-one dated and numbered daily Bible readings to help you understand the Word of God. 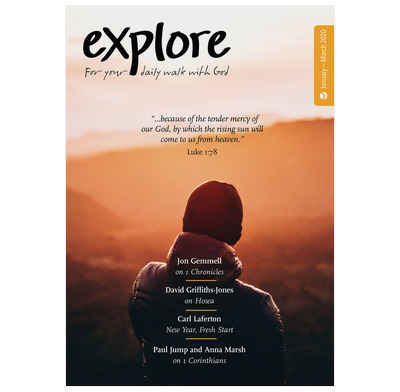 Three months of daily Bible readings for adults. Get the new year off to a great start with some New Year readings, and then move on to Hosea, 1 Corinthians and 1 Chronicles, peppered through with Sunday readings in Proverbs. Writers for this issue include Paul Jump, Anna Marsh, David Griffiths-Jones, Jon Gemmel, Carl Laferton and Tim Thornborough.